UFC Fight Night 85 has undergone some changes not far out from the March 2oth card. Recently the promotion announced that visa issues will prevent Abel Trujillo from heading to Brisbane, Australia for the event. 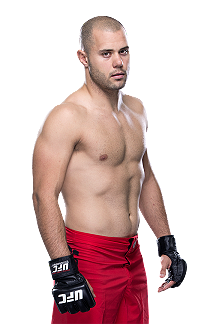 As a result, Chad Laprise will take on Ross Pearson, who was initially scheduled to face Trujillo. The UFC is looking for a new opponent for Alan Patrick, who was booked to fight Laprise. In addition, the organization has confirmed that Justin Scoggins has withdrawn from the card due to injury. Ben Nguyen, who was slated to face Scoggins, will no longer compete. UFC FN 85 will be headlined by a heavyweight fight between Mark Hunt and Frank Mir. Due to the time difference, the event will air in North America on the 19th.